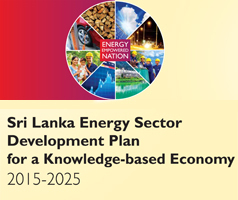 Both countries paid special attention towards the renewable energy programs of Srilanka. An agreement to improve the diplomatic relationship and rapport between these countries. Hon. Ravikarunayake minister of power, energy and business development met the ambassadors of France and Canada and discussed the problems pertaining to electricity including Srilanka and the world may face in 2020. This discussion was held on (21st) yesterday at the premises of the ministry of power, energy and business development. His excellency Eric Lavertu ambassadors of France and his delegation and His excellency David Mc Kinnon and his delegation participated in this discussion. The demand of electricity have been increasing day by day due to growth of population. The resources are limited so we must prudently make use of this limited resources and there may be problems in the future in relation to electricity we have to find out ways and means prudently resolve this problem. We have to find out a proper solution in this regard said Honorable minister Ravikarunanayake. Srilanka is in the forefront in providing electricity than Western countries said the ambassadors. It is a great work that the government paying more attention to develop the infrastructure facilities needed for the well-being of the people. This would facilitate the country towards development. Minister further said to the ambassadors that we have to provide electricity without any burden to the consumers while providing uninterrupted electricity services, we have to pay attention towards the well-being of the environment as well. We have to pay more attention towards renewable energy said the minister. In order to resolve the problems pertaining to electricity we have to follow the best practices of Canada and France said the minister. This would build up a rapport among nations which would facilitate to resolve the problems pertaining to electricity and this would develop the community and the Well- being of the people said Honorable minister Ravikarunanayake.